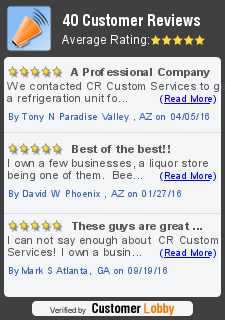 CR Custom Services is a Phoenix,AZ leading commercial refrigeration service & repair specialist. We provide sales, design, installation, repairs & service. 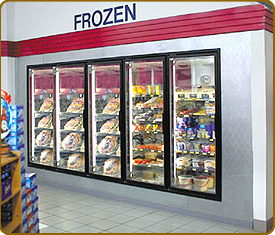 We deal with a wide range of commercial refrigeration equipment from all manufacturers. 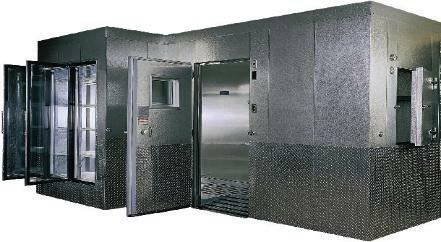 We also specialize in freezer repair and installation in phoenix. 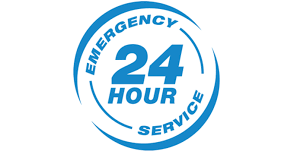 Our technicians follow an ongoing training schedule directly from factory of the most trusted refrigeration brands, so that you can rest assured we will perform your walk in freezer/cooler or any other refrigeration repair quickly and efficiently at honest and very competitive rates. We service a wide variety of commercial customers, from florist shops, fast food chains, pizza chains, gas stations, restaurants, mortuaries, etc. At CR Custom Services there’s no job that’s too big or too small and we can always adjust to our customer’s budget and bottom line. CR Custom Services commercial food stores throughout Phoenix, Scottsdale, Tempe, Chandler, Mesa, Gilbert, Avondale and surrounding cities . 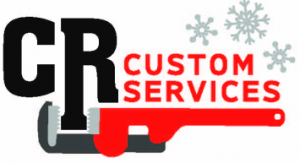 At CR Custom Services, we are dedicated to providing quality workmanship, professional service, and customer satisfaction every time. Whether you’re running a family-owned restaurant or a five-star hotel, no walk in freezer, walk in cooler or ice machine repair job is too small or too big for us. Our highly skilled commercial refrigeration technicians are available seven days a week, including holidays. 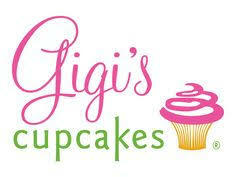 Call us today ! 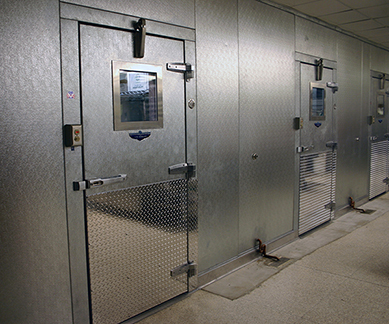 For speedy and efficient walk-in freezer/cooler or commercial refrigeration repair service 24hrs – 7 days a week.